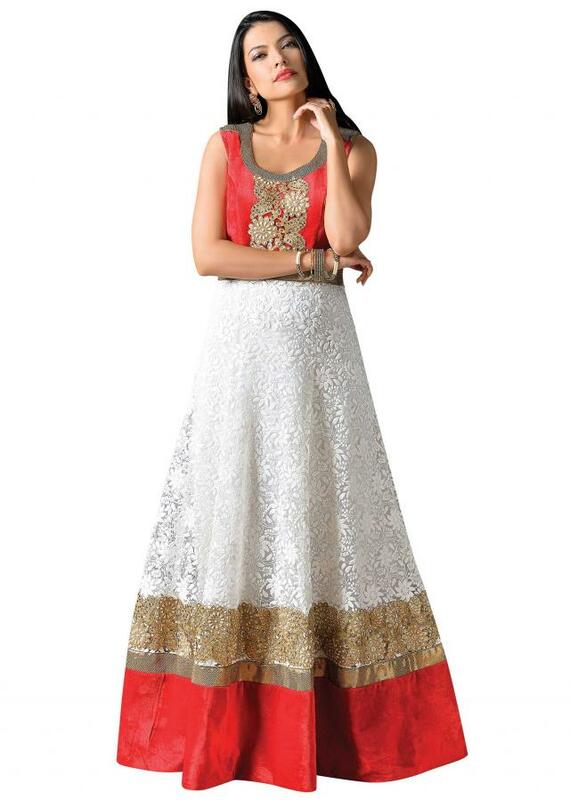 White anarkali suit featuring in chickenkari embroidered fabric. Yoke and hem line are in red velvet embellished in cut work lace embroidery. Churidar is in white cotton silk and dupatta in white and red shaded chiffon.